Moisturizing hair products for normal to dry hair. Infuse normal to dry hair with weightless moisture. Redken’s exclusive Interbond Conditioning System, combined with a unique, ultra-light Micro-Moisture Complex, helps restore, rebalance and retain optimum moisture without adding weight. Shampoo for dry hair that gently cleanses and provides lightweight moisture to leave hair nourished, airy and shiny. Enhanced with Redken’s exclusive Interbound Conditioning System and Micro-Moisture Complex to help restore, rebalance and retain the optimum level without over moisturizing. 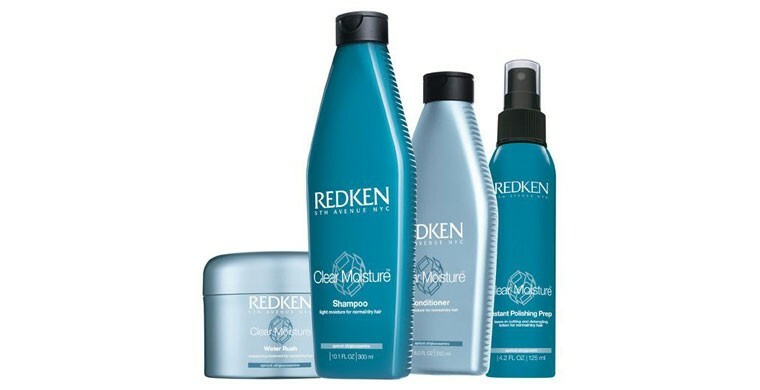 Try Redken’s shampoo for dry hair and discover all its benefits! Moisturizing conditioner for dry hair detangles and helps replenish and rebalance hair’s moisture level for a soft, shiny, airy finish. Its formula is enriched with Apricot oil, Glucosamine and Glycerin to help penetrate the hair to condition hair’s cuticles and restore moisture. This conditioner for dry hair provides a soft and shiny finish. Moisturizing hair lotion revives hair with healthy-looking radiance. This dry hair lotion detangles, primes and polishes hair before styling. Try this moisturizing hair lotion to increase combability and smoothness.